I haven’t revisited Dark Souls 3 since devoting a week of my life to it back when it was released. Being forced back into the world of Lothric wasn’t as jarring as I would have imagined. It feels good to swing a sword, cast some spells, and pick up the game again. 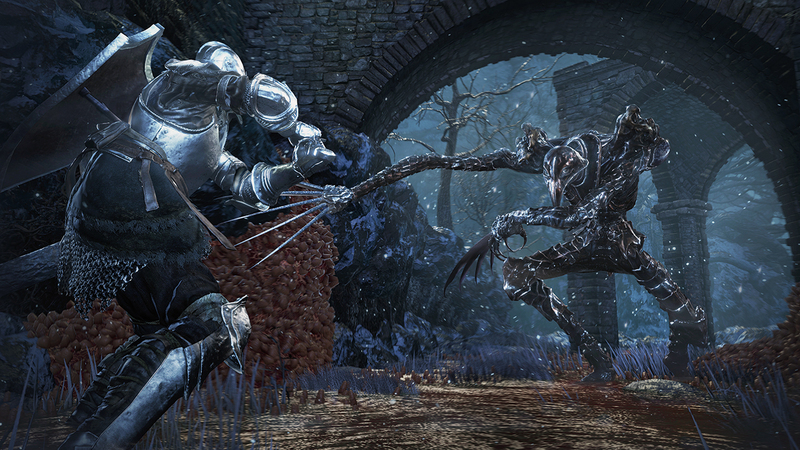 This time I head into the first piece of downloadable content titled Ashes of Ariandel. 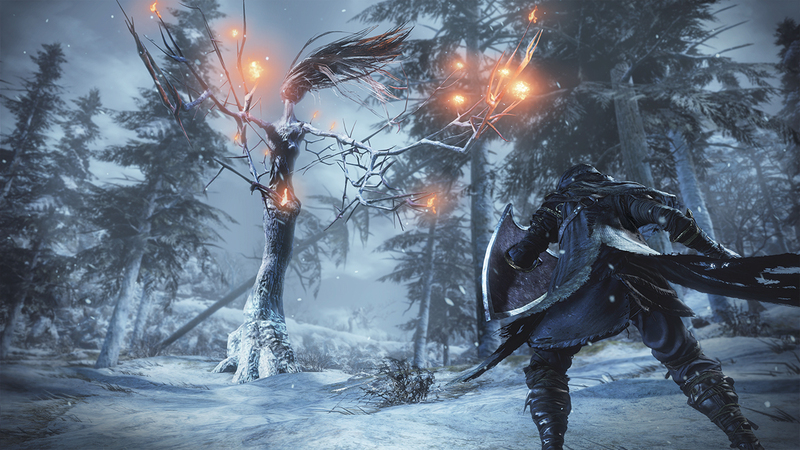 Thrust into a frigid winter wonderland, Ashes of Ariandel is similar to the painted world we saw in Dark Souls. In the original game, you accessed the painted world of Ariamis by touching a painting and getting sucked into the world. 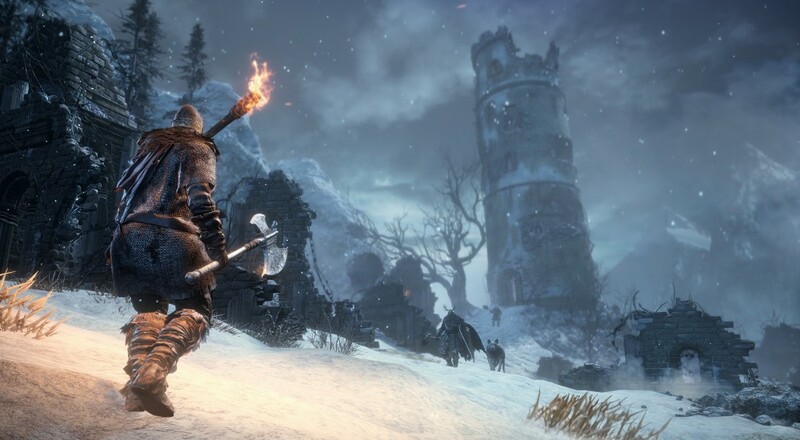 In Dark Souls 3, a new NPC who invites the player to touch a piece of a painting, immediately teleporting them to a new area filled with rotting crows, packs of wolves, and Vikings. The first messages scattered throughout the ground are permanent, warnings from the developers telling the player to turn back if they haven’t finished the game proper. In Dark Souls speak this means the path ahead will be difficult and is meant for high level characters. 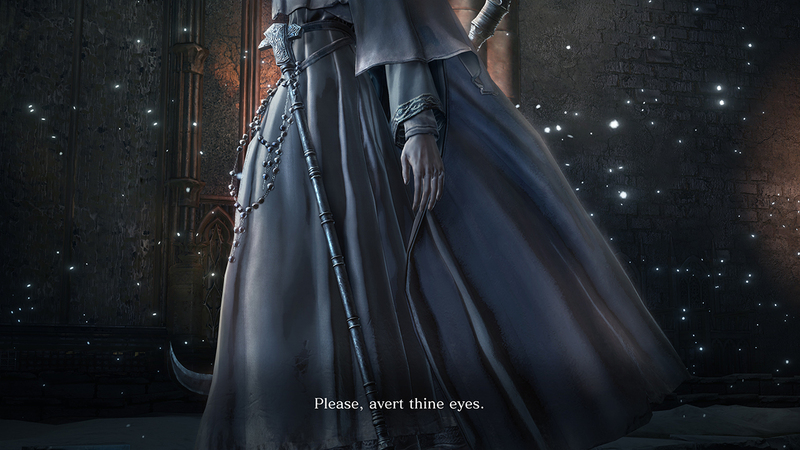 I’ve sunk triple digit hours into Dark Souls 3, and I can hold my own in PVP, but I still found this DLC to be very challenging - a sentiment echoed by my fellow Ashen Ones. I didn’t expect Ashes of Ariandel to be a cakewalk and I revel in the learning experience death brings. Death is a sign of progress, and the backbone of the game. The highs and lows I have in Souls games fill me with emotions no other series can and it comes from the brutal difficulty and cyclical nature of death. However, this DLC didn’t hit me the same way, which, to be honest, was completely unexpected. Usually when I get through a difficult area, find a shortcut, or survive a boss fight with one hit remaining, it gets the blood pumping. But here, I felt like I was simply getting through the content to see if there was any payoff. 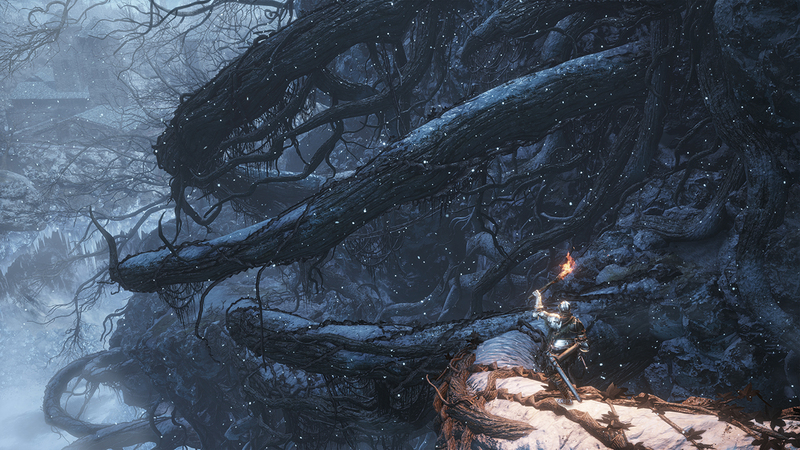 The environment is interesting, (even moreso after doing some lore research into what is even happening in this Painted World of Ariandel), the boss fights are neat (albeit gimmicky), and the world is beautiful; so why am I feeling so empty after playing through Ashes of Ariandel? Maybe it was the lack of environmental storytelling I have come to love across the series. Maybe it’s because I play these games differently now, because I know when Dark Souls is trying to be clever. Oh how I wish I could erase any knowledge of the series and just play through blind. You go into new areas with confidence, rather than trepidation, and this probably contributes to the lack of emotion being drawn from this new land. What had me going was the winks and nods to the rest of the series littered throughout this new painted world of Ariandel. I hoped I would find something, anything, which would satiate my craving for those Dark Souls nuggets we all love. The story fed to you through small tidbits of information across a playthrough strings players along just enough that they will die one hundred times over to discover the next story piece. I’ll admit I was looking for a revelatory cinematic upon finishing the DLC, but you’re left with absolutely nothing; you kill the main boss and that’s it. Seriously!? After bringing me into a painting, emulating a similar area and theme of a previous game, and you give me nothing? Heck, I would have even settled for a couple lines of dialogue after the boss fight to give me some context to what I just played through. This was the source of the emotional rollercoaster I was put on, and not the actual experience itself. I’m really torn on my experience with this new content. It is quite short and unsatisfying in a way no other additional content has been for the entire series, Bloodborne included. Thrust into a winter wonderland, I was taken back by the beauty and curious what this land would hold for me. The presentation of the world is spot on, but doesn’t have the payoff we have all come to know and love. 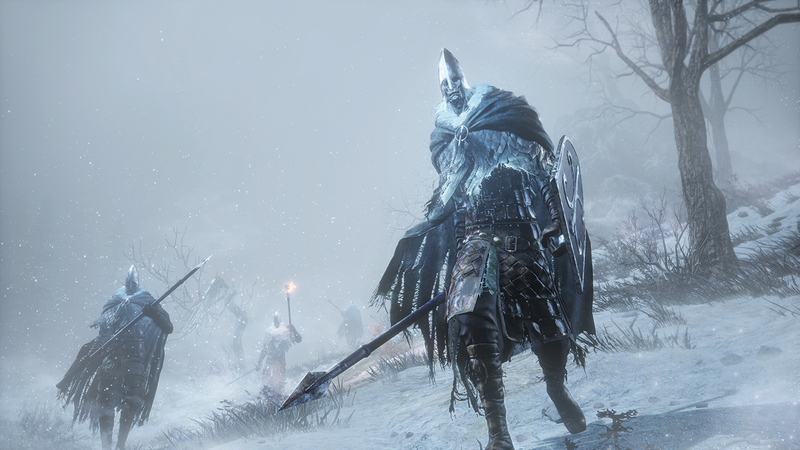 I went into Ashes of Ariandel with high expectations, but was left feeling like it owed me more.